Joan Virginia (Frizzell) Rowe, 87, of Westminster, Maryland formerly of Ocean City, Maryland, passed away peacefully on Saturday, October 27, 2018 at Sunflower Hill Assisted Living where she had resided for the past 9 years. Born on August 2, 1931 in Baltimore, Maryland, she was the daughter of the late Warner Harding Frizzell and Helen Virginia (Cearfoss) Frizzell. She was the wife of Henry Gordon Rowe to whom she would have been married 69 years on November 5, 2018. Joan lived in Ocean City, Maryland for 27 years before coming to Westminster. She enjoyed spending time with family especially her grandchildren. 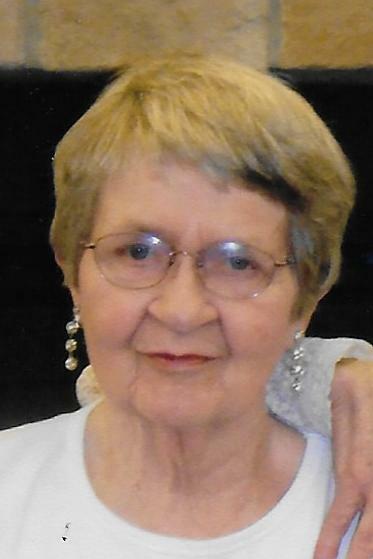 She was a lifetime member of The Ocean City Marlin Club. Surviving in addition to her husband are four daughters, Pam Mills, Vicki Ryan and husband Michael, Cheri Gibson and husband Glenn and Cindi Byrne and husband John all of Westminster; seven grandchildren, Brad Gibson and wife Erin, Kelli Ryan Self and husband Larry, Scott Ryan, Christopher Gibson and wife Kallie, Brendan, Caitlin and Kirsten Byrne; eight great-grandchildren, Marli and Grady Baldwin, Owen and Paige Gibson, Annie, Jimmy and Joey Gibson, and Kane Fernandez; brother, Bruce Frizzell and wife Arlene of Forest Hill; and sister-in-law, Donna Diaz and husband Dave of Cockeysville; and several nieces, nephews, family members and friends. The family would like to thank the awesome caregivers at Sunflower Hill Assisted Living that took care of Joan for the past 9 years. The family will receive friends from 11:00 a.m. until the time of a Memorial Service at 12:30 p.m. on Saturday, November 17, 2018 at the MYERS-DURBORAW FUNERAL HOME, 91 Willis St., Westminster. Burial will be held at a later date. In lieu of flowers, memorial contributions may be made to the charity of your choice.